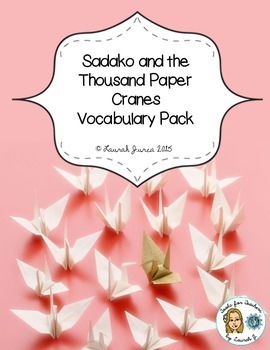 If you've already got a great unit that you enjoy using with Sadako and the Thousand Paper Cranes by Eleanor Coerr but want to make the assessment process a little easier, then this is the perfect product for you! 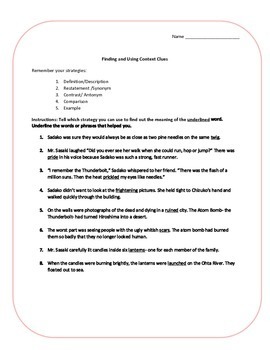 Please note, this item is already included in my Sadako and the Thousand Paper Cranes Novel Study. 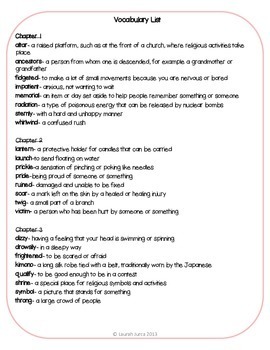 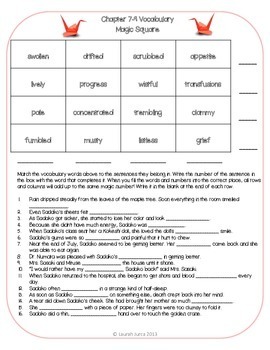 If you've already purchased the unit, you already have these vocabulary activities!